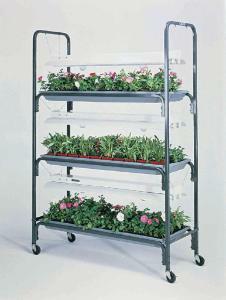 More than just a cart, this mobile system is a complete growing station, with trays, pots, and plant lights. 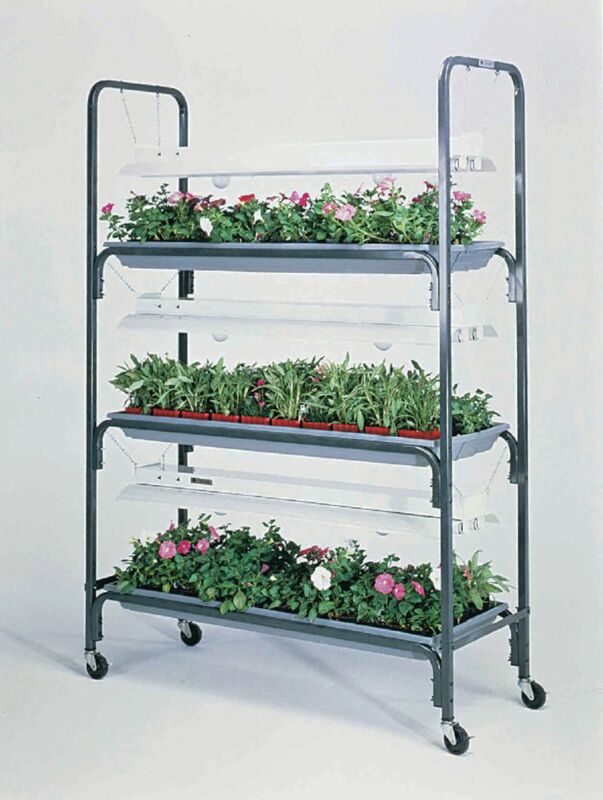 Available with two or three tiers, each shelf of this cart has light fixtures that adjust to accommodate plant height and contain both fluorescent and incandescent bulbs. You can use either type or both types simultaneously. The cart is constructed of 1"heavy-gauge steel with a baked-on enamel finish and lockable wheels. It comes with three soil trays, 96 pots, and a teacher’s manual outlining 40 different projects and demonstrations. Fluorescent and incandescent bulbs are available separately.